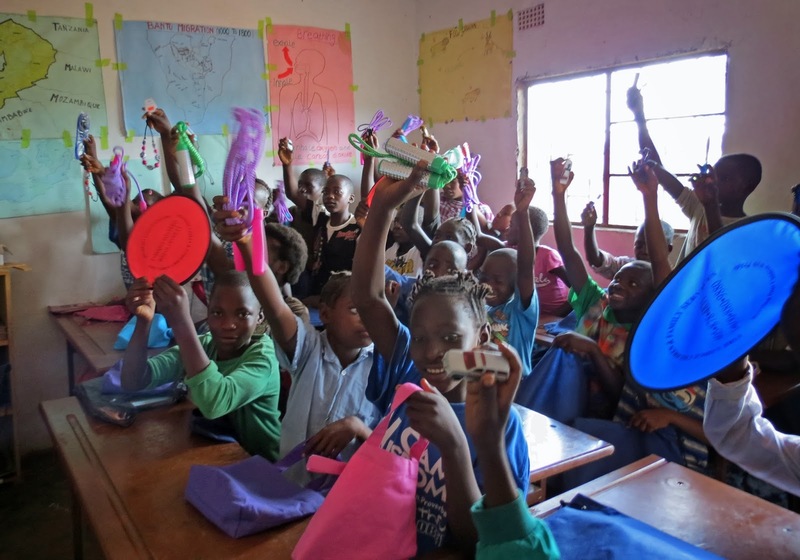 The Putnam City Baptist Church AWANA club in Oklahoma City, OK, USA, donated numerous textbooks and supplies for the Children of WISDOM COMMUNITY SCHOOL. The children who are part of the PCBC AWANA club gave offerings for the textbooks. 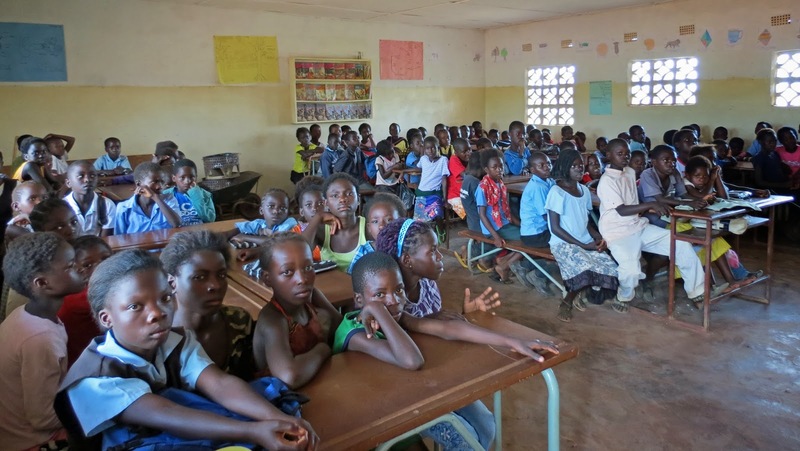 LIVING WELL (on behalf of the AWANA club) purchased the textbooks and supplies in January while in Ndola. 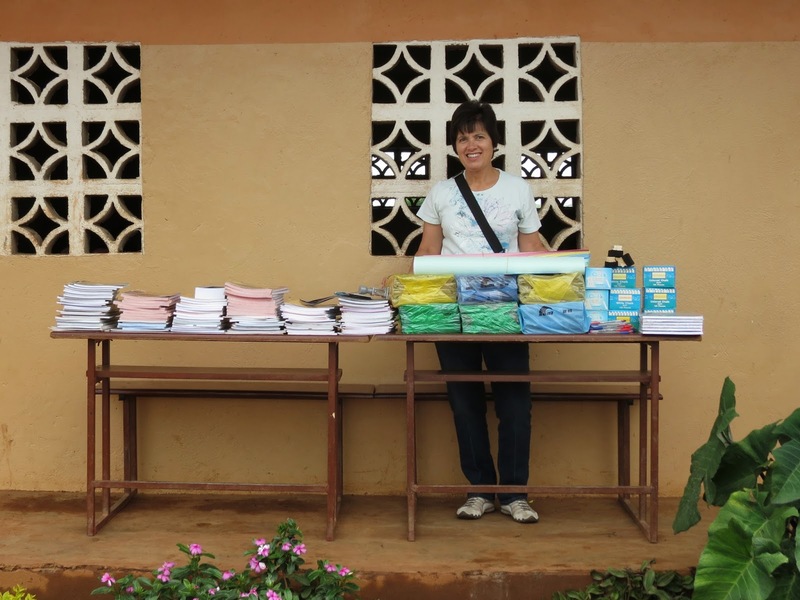 The material were presented to the school by Darla Holinsworth, a PCBC AWANA club leader and member of the LIVING WELL mission team. Construction has begun on Classroom Building #2. The footings have been poured. as well as the whole community in the Mwenye Compound. We especially want to thank all of the kind people of Lakeview Baptist Church for making it possible for the children of WISDOM and the community to have clean, clear water all year. The Rotary Club furnished a sign with acknowledgement to those who furnished the well. Knowing that signs don't always stay in place, LIVING WELL secured a permanent plaque for the well. Ed Edwards holding the plaque before installation. Ed and John Holinsworth installing the plaque with glue and screws. just below the handle for the pump. 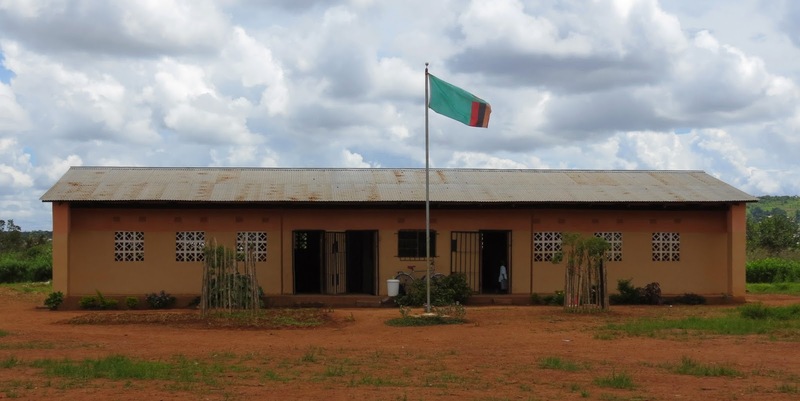 We want to thank the local press, including the Times of Zambia, for publicizing the good work accomplished at Wisdom Community School. 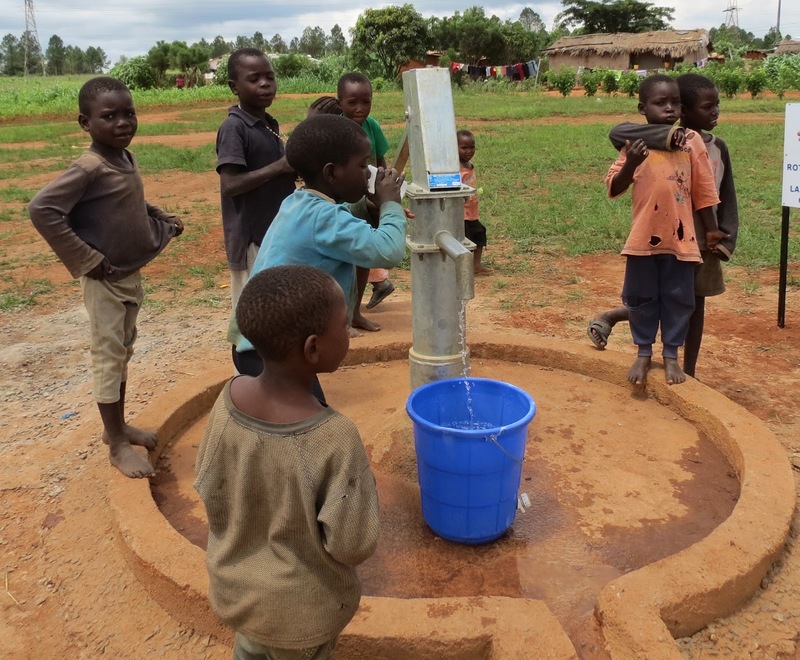 The school and community now have fresh, clear, clean water that is in adequate supply all year. 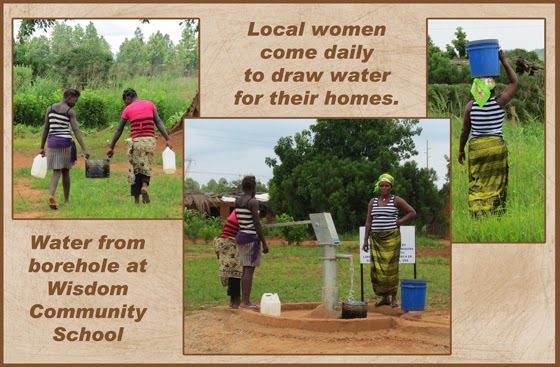 The local TV news, radio, and newspaper gave reports about the new water! 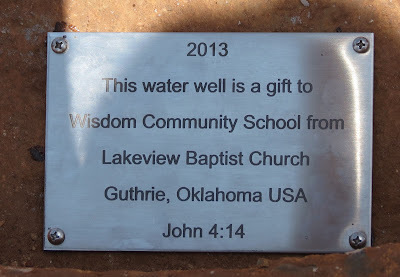 The borehole was drilled through a collaboration of Better World (operator of the school), Ndola-Mukuba Rotary Club (handled the drilling), LIVING WELL Ministry (Oklahoma City, raises funds to support and develop the school), and Lakeview Baptist Church (donated all of the funds for the borehole). 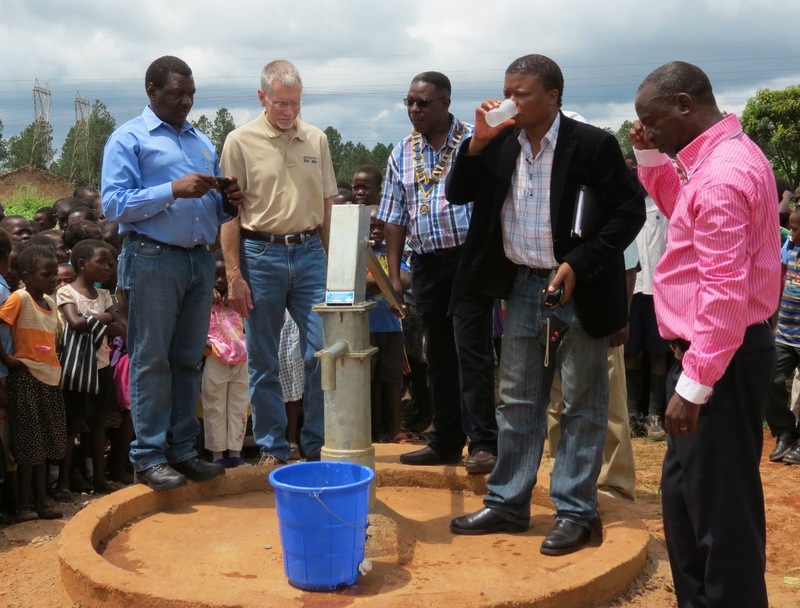 With the arrival of the LIVING WELL team, Better World Ministries, and officials of the Ndola-Mukuba Rotary Club dedicated the borehole at WISDOM COMMUNITY SCHOOL. The children of WISDOM sang for all of the visitors. Then president of Better World Ministry, Charles Mwila Mutumbala, spoke and welcomed the Rotary and the LIVING WELL team. 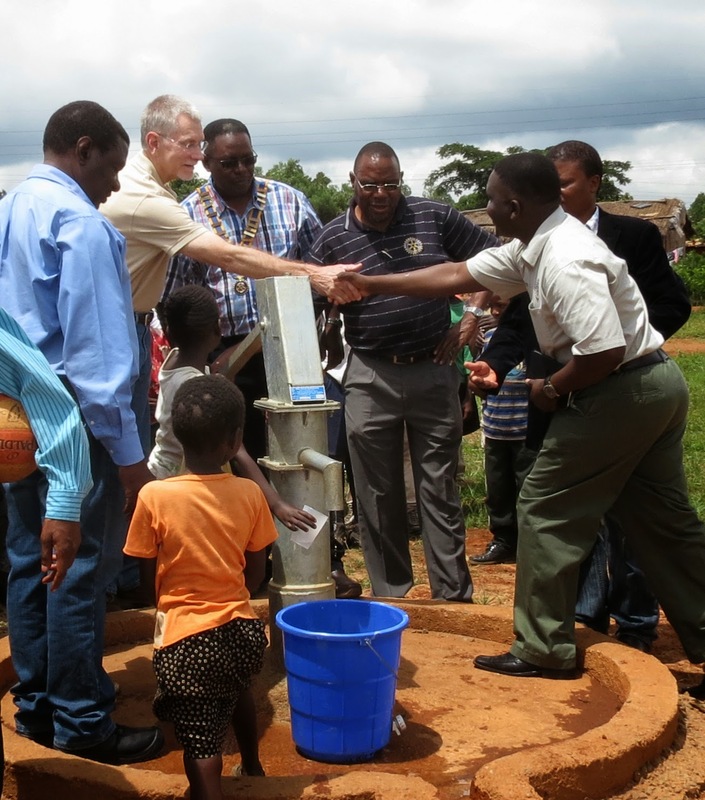 The Rotary officially hands the well over to WISDOM COMMUNITY SCHOOL. 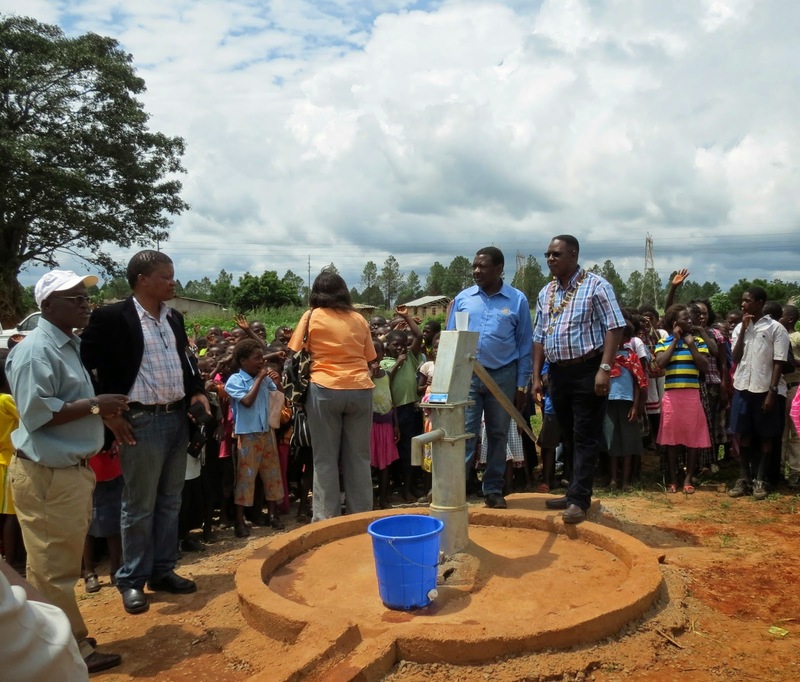 The well and it's water is received by the school manager and operator of the school, Pastor Charles, along with Pastor Christopher. 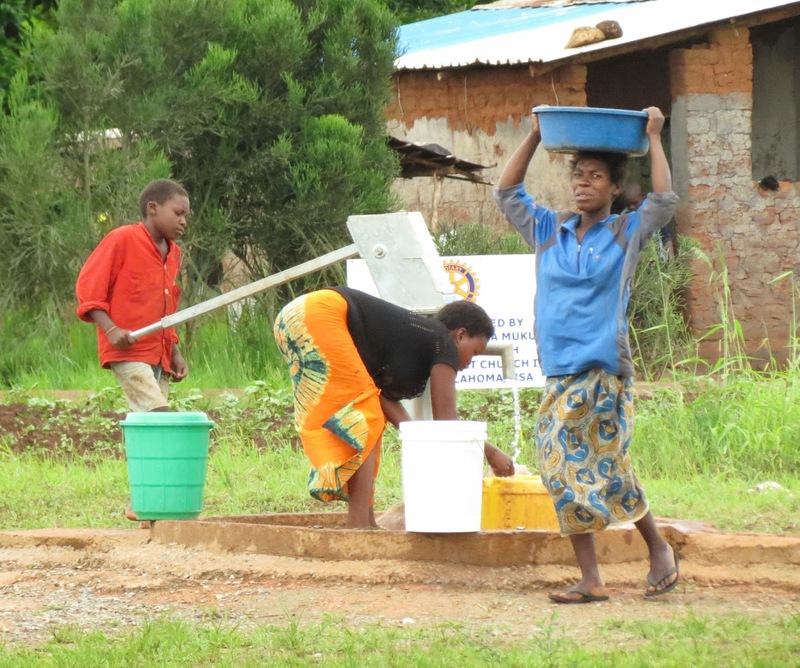 The president of LIVING WELL, Ed Edwards, thanks the Rotary club for their involvement in seeing the borehole completed and fresh water supplied to WISDOM COMMUNITY SCHOOL and the people of Mwenye Compound. 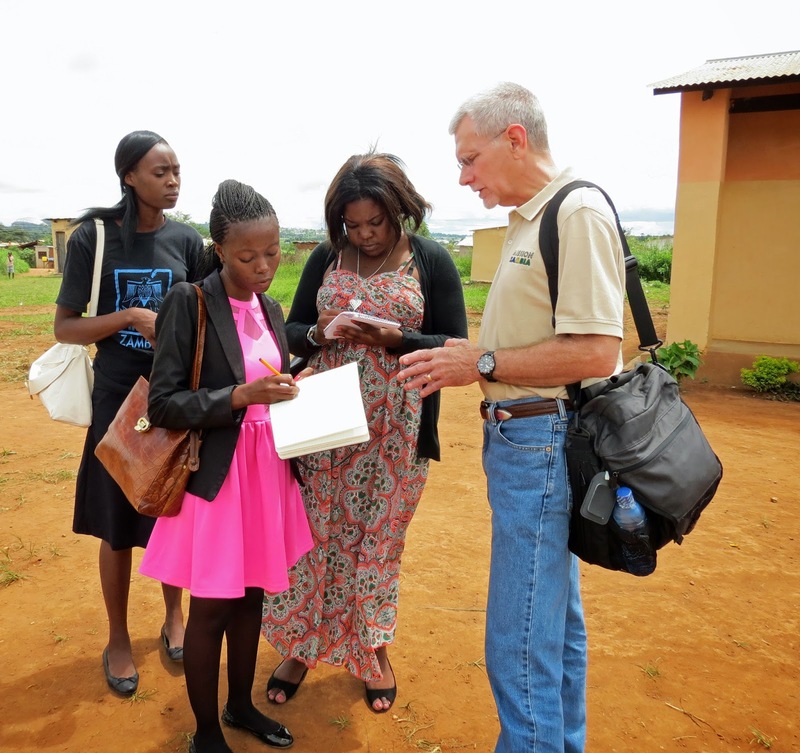 Bearing gifts, textbooks, and school supplies. All of the children were excited to see the team arrive. Kids running to meet team as they arrive! Christmas gifts were sent by Putnam City Baptist Church in Oklahoma City, OK. 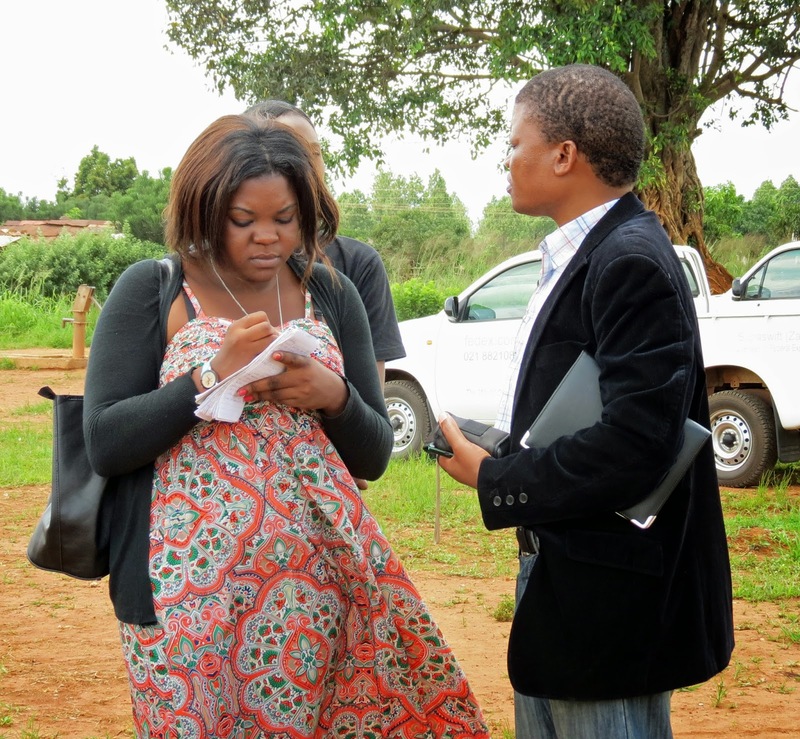 The team had expected around 200 children but there were at least 230. God multiplied what they brought. Special Thanks to all who gave these gifts!